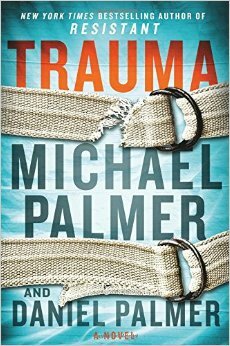 First of all this is the first book of Michael Palmer that I have ever read. I do have his Extreme Measure book but never really got a chance to read it yet. I was a little bit surprise to find out that this book was released two years after his death and I think his son finished up the book for him. I only have the audiobook version of the book. I can't find the hardcopy book anywhere here. The narrator of the book was good and I have no trouble follow the story. "Dr. Carrie Bryant's four years as a neurosurgical resident at White Memorial Hospital have earned her the respect and admiration from peers and staff alike. When given the chance of performing her first unsupervised brain surgery, Carrie jumps at the opportunity. What should have been a routine, hours long operation, turns horribly wrong and jeopardizes her patient's life. Emotionally and physically drained, Carrie is rushed back to the OR to assist in a second surgery. There, she makes a careless and tragic mental error resulting in irreparable brain damage to her second patient. With her confidence shattered, Carrie quits her residency and moves back home where her younger brother, Adam, a combat vet suffering from debilitating PTSD, also lives. -I am always a sucker for medical thriller book. Robin Cook is my favourite author in this genre. - I like and care about Carrie. She is a good surgeon who makes mistakes and she try very hard to redeem herself. - the story about military and PTSD was not something I really like or enjoy reading. It's so stressful. - I am not sure the technique they used to cure PTSD is believable. I recommend this book if you like Michael Palmer and Robin Cook book. It's a pleasant read.